Naijalads.COM.NG is a Popularly Known Website Brand known as the No.1 Online Entertainment Blog, Developed for the Sole Aim of Rendering Quality Entertainment Services to her Users and Visitors. 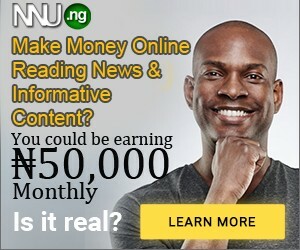 Naijalads.COM.NG provides updates on Latest News Updates, Entertainment and Celebrity Gists, Comedy Videos, Viral Trending Videos, Latest Musics and Videos, Football Sports Highlights, Latest Fashion Trends and Lifestyle Gists, Gossips, Technology Tips and every other stuff that goes on in the world at large with an authoritative voice. Our aim is to collect information from all the available sources, systematize it and explain it in a really understandable and neutral manner. As a result, we provide high quality, reliable and affordable media products related to different spheres of people’s life, including culture, education, technology and etc., for promotion of knowledge, political stability and economic prosperity. Our Mission is to become the Best Online Entertainment Website/Blog delivering fresh Contents and Gists to all our Visitors and Users. Naijalads.COM.NG covers almost all Facet of Life ranging from Latest News Updates, Entertainment and Celebrity Gists, Comedy Videos, Viral Trending Videos, Latest Musics and Videos, Football Sports Highlights, Latest Fashion Trends and Lifestyle Gists, Gossips, Technology Tips and Lots more..
Abawuru Davegates is a talented young man from Imo State In Nigeria, who has put in his efforts, time, energy and resources in running the functionality of Naijalads Blog/Website. A guy you can meet and mingle with easily. Very Sociable.